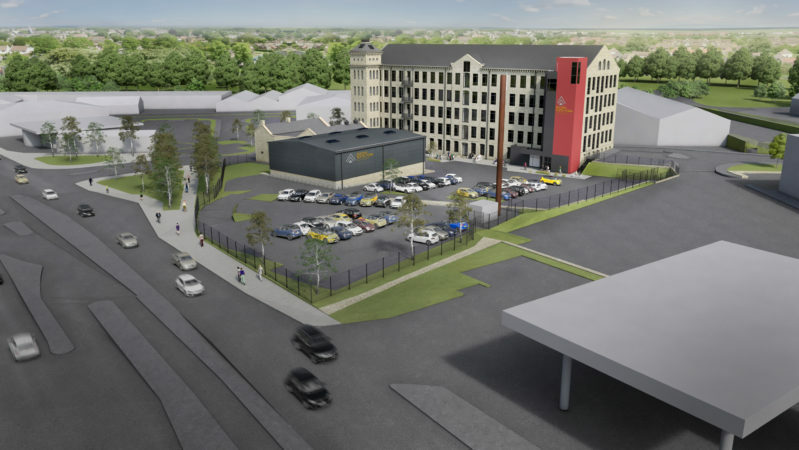 G&H Building Services has won the mechanical and electrical contract for a new sixth-form academy in Bradford. In August 2019, Dixons Academies Trust will open the Dixons Sixth Form Academy, a new post-16 facility in Douglas Mill, Bowling Old Lane on a neighbouring site to the flagship Dixons City Academy. G&H Building Services was appointed by the main contractor, Kier. The overall scheme is valued at £13 million. Mechanical services include plantroom equipment, ventilation, heating, cooling, water and gas services, above ground drainage, thermal insulation and a building management system. The electrical work will see interior, exterior and emergency lighting, fire alarm, disabled refuge and toilet alarm, CCTV, access control, data, low voltage distribution, lift supply and small power installed. The construction work will see a new sports hall built to accompany the college and the building’s coach house will be sympathetically restored to provide changing rooms, storage and offices. In order to open as soon as possible, the work will be phased with the conversion of the basement, ground and first floor of Douglas Mill completed by August. This will allow pupils to start in the new facility in September with the remaining construction works completed by early 2020. Pre-construction Director at G&H Building Services, David Davis, said: “We have in-depth experience of designing and installing mechanical and electrical services for education facilities and this is another exciting project to be involved in. The building was previously used as offices by NHS Bradford and Districts and Craven Clinical Commissioning Groups.